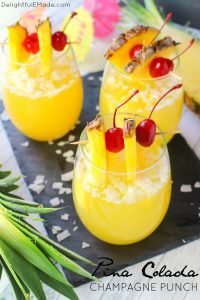 This amazing coconut rum punch is the quintessential summer cocktail! 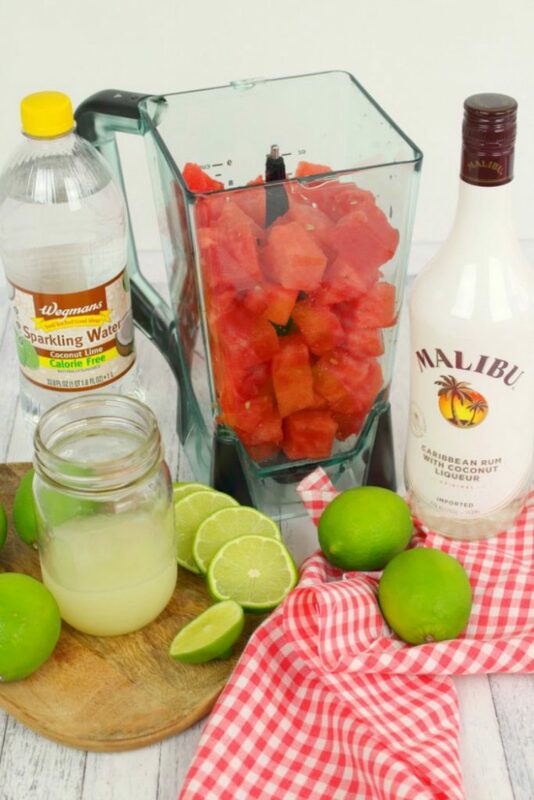 Made with fresh watermelon and coconut rum, this simple rum punch recipe comes together in moments. 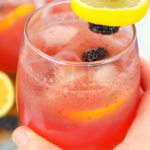 Perfect for sipping poolside or serving at your next summer soiree! 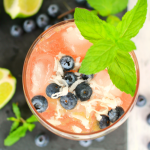 Do you have a favorite go-to summer drink? For many its a cold, crisp glass of lemonade, or a fresh pour of iced tea. 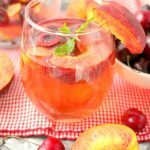 Don’t get me wrong – I really love both of these, especially my Ginger Peach Iced Tea, my Arnold Palmer Iced Tea and Sparkling Blackberry Lemonade. But sometimes a cold, refreshing cocktail is in order. Something fruity, crisp and with the addition of a fantastic rum is perfect on a warm summer day. 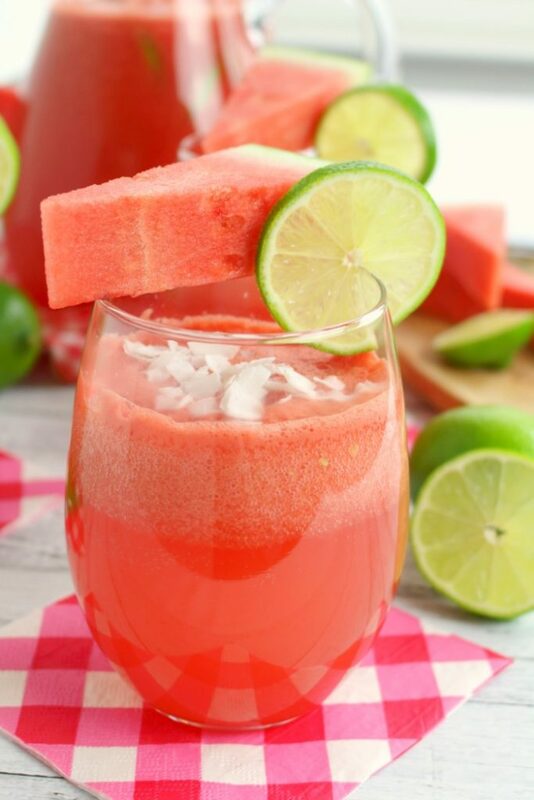 My cool, fruity and refreshing Watermelon Coconut Rum Punch fits the bill perfectly! When making this simple coconut rum punch, one of the most important steps is starting with cold ingredients. 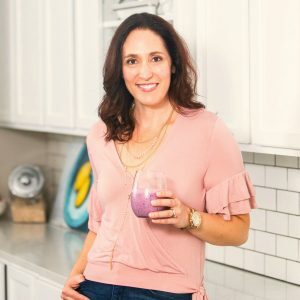 If you’re making this cocktail for a party or get-together, consider prepping the ingredients before-hand and refrigerating. 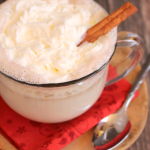 You could even mix beforehand, refrigerate and pour once your guests arrive. 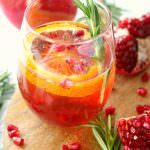 Once you’re ready to make the punch, not only will everything be ready to go, but it will be cold and ready to drink in moments. 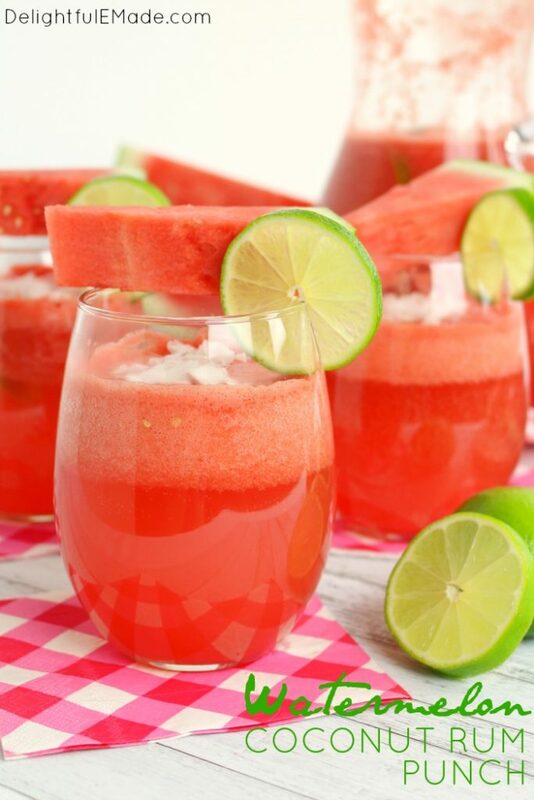 This step may take all of 30 seconds, and you’ll quickly have a juicy, sweet watermelon puree. 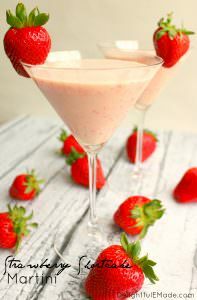 This juicy puree will act as the base of the cocktail and deliver serious flavor in every sip. 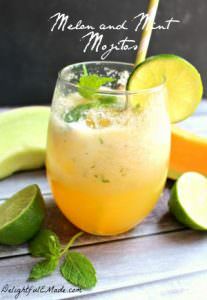 You can then pour this puree into a pitcher or drink dispenser. 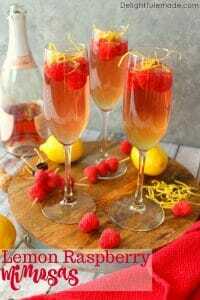 Then, to complete the punch, simply add the rum and sparkling water. Depending on how strong you like your punch, test by pouring just half of the water into the punch. 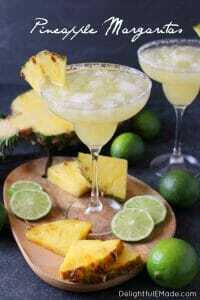 You can always add additional water or rum should you want a stronger or weaker drink. I sliced up two limes simply to add to the glasses and pitcher. 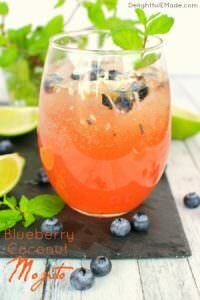 Not only does it add some additional lime flavor, it adds some pretty green color to the punch as well. Next, stir up the punch, and pour into glasses. 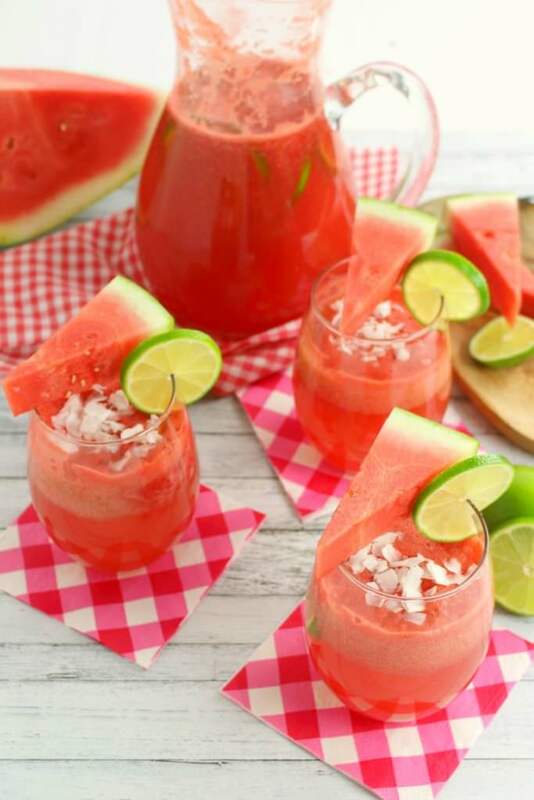 Garnish with additional lime slices, wedges of watermelon and a sprinkling of flake coconut. 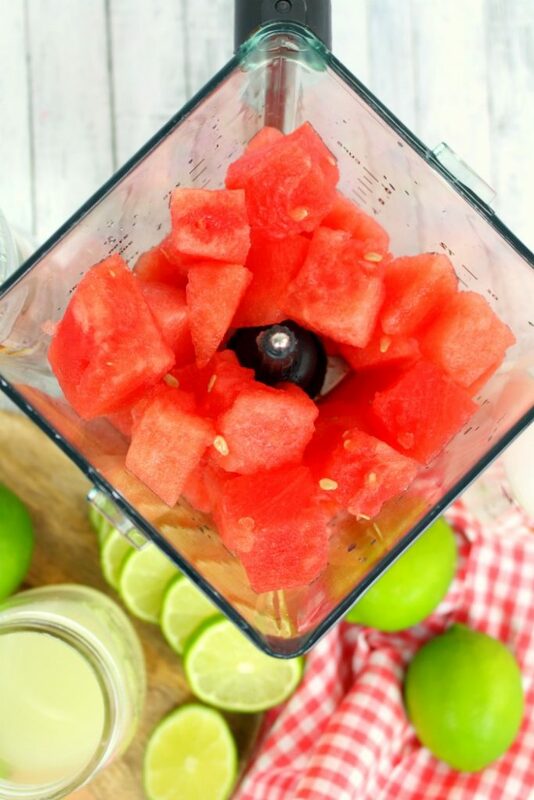 Fill a blender with the fresh watermelon. 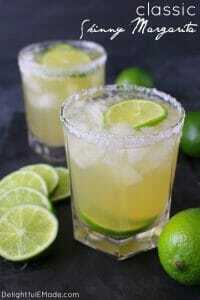 Add the lime juice. Blend until liquid. Pour into pitcher or drink dispenser, add the sparkling water, rum, and lime slices. Stir. 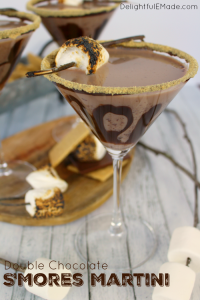 Pour into glasses. 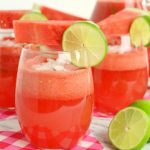 Top glasses with watermelon slices, lime slices and coconut flakes if desired. Refrigerate any leftovers. 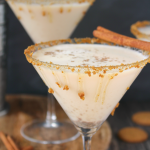 *To ensure drinks are cold, refrigerate all ingredients prior to mixing. Add ice to glasses if punch needs to be extra cold. *If you cannot find coconut flavored sparkling water, feel free to use a lemon-lime soda, like sprite or 7up. *For a stronger drink, consider adding less sparkling water and more rum.